Priced to sell! Live like you're on vacation in this desirable 1st floor unit condo. Updated interior w/ an open floorplan and a great opportunity for a ''lock & leave'', part-time or full-time resident. Super light & bright throughout! Underground parking garage space is included . Kitchen features quartz countertops, backsplash, cherry cabinets & gas stove. Luxurious master bathroom includes a separate tiled shower, tub, dual sinks & walk-in closet. Newer carpet in bedrooms, plantation shutters, washer/dryer included. 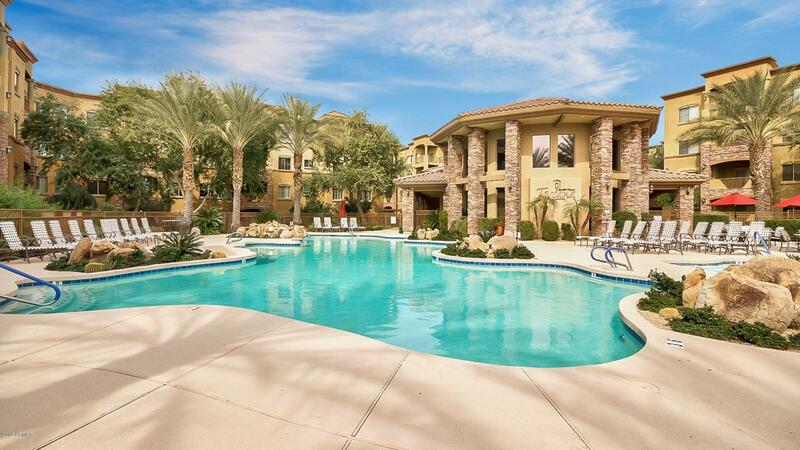 24 hr guarded gate community in an upscale location next door to JW Marriott Resort, walk across the street to High Street restaurants, bars & shopping. Close proximity to freeways. 3 heated pools, fully-equipped fitness center, conf. center & more.